are there place/s in Cape Town to enjoy live poetry ? Try Off the Wall and Grounding Sessions at Tagores in Observatory. Otherwise, follow us on Facebook and Twitter, we post about both local and international poetry events! Epiphanie Mukusano is originally from Rwanda where she used to be a teacher. She has a Master’s degree in English Literature and now lives as a refugee in Cape Town with her husband and children. 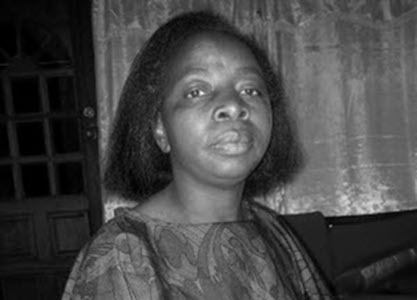 Her poems have been published in Living on the Fence (2007) a collection of writing by women who are refugees from various countries in Africa. Epiphanie contributed When a name is lost to the collection of birth stories Just keep breathing (Jacana, 2008) and Cambridge University Press has published her children’s story Shema and the goat (2009). Epiphanie’s poem comes from her first poetry collection Kilimanjaro on my lap.